ADA ALEXANDRA CABOT (STEPHANIE MARCH) MAKES A SURPRISING RETURN TO THE SVU TEAM WHEN A PEDIATRICIAN FOUND GUILTY OF MOLESTING PATIENTS IS KILLED. My recap and review of Law & Order SVU "Lead" can be found here. THE DEATH OF A BANK EXECUTIVE’S MISTRESS IS TIED TO A RANSOM PLOT. Detectives Lupo (Jeremy Sisto) and Bernard (Anthony Anderson) investigate the possible hit-and-run death of the mistress of failed investment bank CEO, Andy Gardner (Guest Star Andy Gardner). As they investigate, they uncover a kidnapping and extortion plot leading them to a number of possible suspects, including a disgruntled client Davey Burke (Guest Star Jon Prescott). The detectives also uncover a connection between Carlos Padilla (Guest Star E. J. Bonilla), one of the boys who discovered the woman’s body, and Ronny Addison, the director of an after school program for juvenile offenders who may have a connection to Burke. ADA’s Michael Cutter (Linus Roache) and Connie Rubirosa (Alana de la Garza) must deal with conflicting alibis as they attempt to try the case. 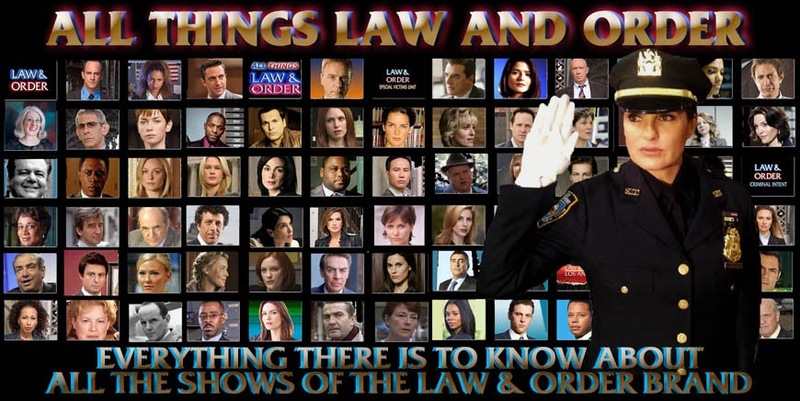 My recap and review of Law & Order "Bailout" can be found here. Your blog site is an aid. Last month I worked on this popular show, Law and Order, on this episode, "Bailout". I was one of the many, background talents-film extras. I finally know in advance when this episode will be on. And one can tell his family and friends about it. Thus rather than for me calling them at the last minute. You note I don't do well keeping track of TV guide since television is not a major activity embraced by me. I will place a link of your site in a upcoming posting of my blog to assist in letting others know. Oh yes, by the way, I am one of the CSI police folks at the murder scene. But one is unsure if he will be seen, I do not know how the episode would be edited. If it is so I learned not to blink my eye, the appearance might be momentary if any, thank you for your information. Curtz, I'll keep my eyes open for you. It must have been exciting to be a part of the show. I wish I could get a chance to do the same thing! Who is the actor that plays the defense attorney? Who is the actor who played Ronny Addison, the director of the youth center. He was a major player and yet I can't find a page anywhere that gives his name, although they have everybody else's name including crew.